Your reactions to the drummers split from Dream Theater. 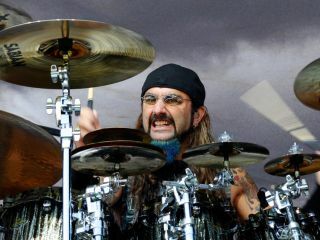 As we're sure fans of the band already spotted, earlier today we brought you the news that drummer Mike Portnoy has decided to leave Dream Theater after 25 years. As expected you've all been all over the site, our Facebook page and our Twitter account letting us know what you think about this surprising news. "I BEG of the fans to please NOT hold A7X responsible for MY decision...they are just as shocked as you guys. I had been contemplating this and desiring a "break" (not split) as long ago as last year...everything else is fully explained in the press release...thank you all for your support and understanding...this is the hardest thing I've ever done... : ("
Csutora Balázs: "I'm shocked. But I understand him, he is a class act sacrificing his little baby so his best friends can carry on. Good luck to MP wherever life takes him!" Kieran O'Dea: "Shocking but not entirely unexpected." Antonia Inri X-ff: "‎9th September = the saddest day of prog rock." Michael J. Goodwin: "Dream Theater should NOT continue as Dream Theater without Portnoy. Not cool." @ejha_rawk: "good for him, bad for Dream Theater"
@Djentlemen: "Please confirm for me that Mike Portnoy has left Dream Theater. I refuse to believe it :("
Mike has always been a good friend of MusicRadar and has spoken to us on regular occasions in the past. Rest assured we've already contacted his management to find out more about the split. Understandably, he is remaining fairly quiet for the moment, but be sure that when he resurfaces we'll be the first to bring you all the info.